Learning in a family culture of excellence with spiritual development for a life-long journey in the Christian faith. 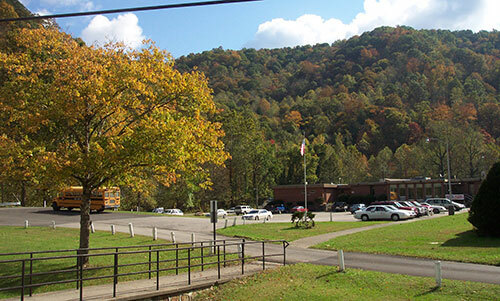 Red Bird Mission and Clinic have been providing ministries in this region of the Appalachian Mountains since 1921. Red Bird Christian School is part of the Mission's education ministries. Students at Red Bird Christian High School benefit from a range of classroom and extracurricular activities to enjoy and learn. With a firm faith in God, and led by Jesus Christ, Red Bird Christian High School impacts the lives of its students in meaningful and magnificent ways. 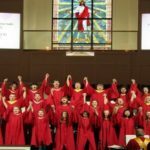 Red Bird Christian School, guided by Jesus Christ, empowers individuals by providing opportunities for spiritual growth and academic excellence for lifelong learning, leadership, and service. In partnership with Eastern Kentucky University, we offer dual high school / college credit for those students with a qualifying GPA and prerequisites. We believe that the message of salvation and life in Jesus Christ will transform the lives of our students, our culture, and our world. Red Bird Christian School seeks to minister to the whole student in their journey with God through teaching truth, loving the individual, and holding students accountable as we encourage and empower them to be people of influence. 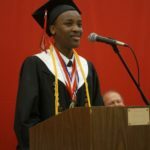 To facilitate this growth residential students participate in: daily devotions; weekly chapel services; Saturday leadership training; and two Bible Studies courses during their high school career. Red Bird Christian High School is uniquely poised to provide students who seek to become leaders special opportunities to prepare for their futures in the political, corporate, or ecclesiastic realms. Students are involved as leaders of student organizations, devotions and weekly chapel services. Intentional preparation for leadership is incorporated into the senior guidance curriculum and other guidance lessons for the upper grades. An important feature of the Red Bird Dormitory Program will be special seminars and experiences in leadership for future work in secular world and/or the Church. These uniquely designed experiences and seminars will feature opportunities to learn about leadership styles; the theoretical and research underpinnings of organizational science; learning about one’s own leadership styles and leanings; plus practical experiences in leadership in this area and beyond. Principal Wilder opened the school year with a theme of ‘Purpose’. She regularly reminds the students and faculty, “every person, every child is created with a purpose, and our job at RBCS is to help you find that purpose”. Principal Wilder has opened the school year at Red Bird Christian School with a theme of purpose. She regularly reminds the students and faculty, “every person, every child is created with a purpose, and our job at RBCS is to help you find that purpose”. God had a purpose for every student that attended our school – to prepare each one academically and spiritually for a life of fulfilling God’s purpose of reconciling the world to Him. Our alumni are impacting the world through every stata of society including returning to give back through service and material wealth. Three openings in the faculty this summer were filled by alumni. These alumni recognize that God had a purpose in preparing them for life and they are committing to share their material success. 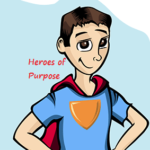 We need you to step up to be a Hero of Purpose. Our alumni led the way in recent years by challenging every alumnus and friend of Red Bird Christian School to give each fall at the Red Bird School Alumni Association Homecoming. Last year, we raised just under $100,000 for our school through the Homecoming Heroes Challenge Match. Alumni serving on the Red Bird Mission board of directors have stepped up this year to provide a dollar for dollar match up to $60,000. Be a Hero of Purpose by giving today. Commit to give each month. A monthly gift of $535 through the year will fund the tuition gap for a student, or a monthly gift of $55 makes you a partner with 9 others in funding the gap between tuition payments and the annual cost of education. 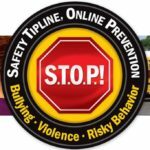 SIGN UP TO RECEIVE INFO FROM US! We believe that the message of salvation and life in Jesus Christ will transform the lives of our students, our culture, and our world. Red Bird Christian School seeks to minister to the whole student in their journey with God through teaching truth, loving the individual, and holding students accountable as we encourage and empower them to be people of influence. To facilitate this growth residential students participate in: daily devotions; weekly chapel services; Saturday leadership trainings; and two Bible Studies courses during their high school career.